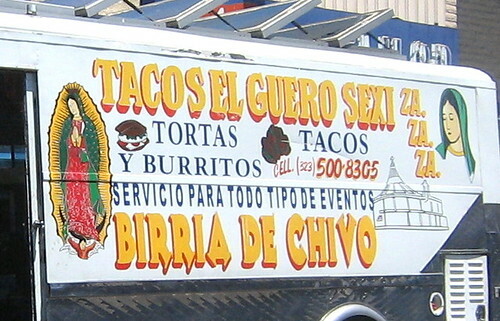 Just when you thought tacos weren't "sexi" enough. This made me spit out my water when driving down Whittier Blvd. It was a hot day and we were on route for some refreshing raspados(mexican shaved ice) and it wasn't a taco day but who can say no to el guero sexi? So me and my lady friend walked up to the truck and peered in. Inside the truck were two mexican dudes, one at the grill and the other taking the orders. "I don't see a guero in there." I ordered two tacos, one asada, one al pastor. With still no guero in sight my tacos came through the small pick up window. I dressed them with salsa roja, onions and cilantro from the makeshift salsa bar inside one of the truck compartments. The tacos were devoured in short time and were actually much better tasting than they looked. The salsa roja especially left me with a stinging sensation for the next 20 minutes making the raspado all the more refreshing. When I have more time I think I will have to try some of that birria de chivo and find out more about this el guero sexi. Actually, I'll stick to the birria. Try the birria next time, it's worth it. The Al Pastor and Tripas tacos are out of control!!! It's a funny name. I enjoyed that picture! What up? Are you dormant? You gotta go try this joint called "Restaurant Las Delicias" on Lyons Avenue in Newhall. Grade A on the health department rating. I don't know how you will rate the food. Has LA suddenly run out of tacos? Oh no! No updates in over a month! Great site Bandini. ALthough I didn't realize there was such a variety to the almighty taco. I just figured meat, tomatoes, cheese, and lettuce inside a shell. Colour me surprised! Guess that's what I get for living in northern Canada. I should be proud that I at least know what a taco is. Keep up the great work and hope to see an update soon. Bandini, where are you? We miss the updates. 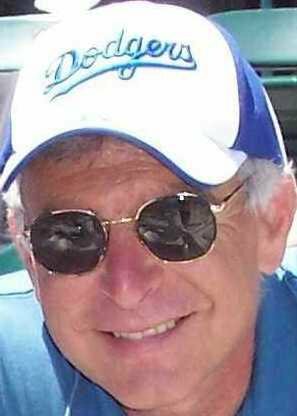 I'm one more fan who misses you, Bandini, though I can imagine you sitting on a beach in Thailand for awhile eating nothing but coconut soup. Hurry back. Where are you Bandini? We're going on three months without a taco update. Are you even alive anymore? You're going to give up after two years? At least make it official and close this down, or pass it on to another taco fanatic. The rumor has it that he/she is incarcerated. Could this be true? heh I didn't write the comment above. Imposter bandini! I hit the blogging wall but i will return. rumors of me having my tacos de lengua poisoned by rival taco bloggers are untrue. I found a taco stand three months ago, was in someone's front yard on Indiana right next the I-5 freeway, flood lights, the whole bit. Al Pastor with the pineapple on top and a charcoal box on the right. Salsa setup like Korata's. Wasn't there anymore. I drove down Telegraph along I-5 at Keen, same setup just four days ago. I ask the guy if he moved and he said different owner. 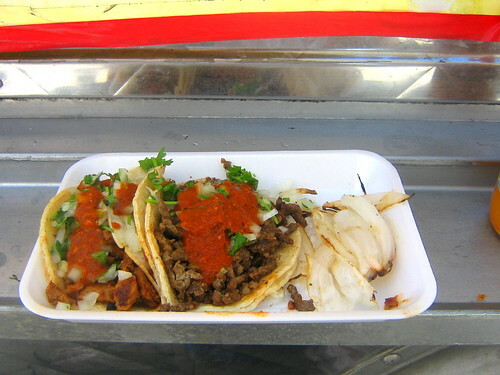 Small tacos, think 75 cents, but hot and off the grill, tasty, hochata, locals with the little kids just eatting them up, I order two tacos, just testing, ordered three more, just put them on the same paper plate to save trees, eat more tacos. Oh, Korata's painted their truck purple now, their stuff doesn't seem to be as good as before, like the tortilla dough was out a little too long. Hey Bandini, I have a few helpful taco hunting tips- check out taco booths at the Grand Central Market downtown (eat at the busiest place, I forget what it was called, very good birria) and La Mercado Paloma (across the 110 from USC) there's a very good Yucatecan place where you can get some really good cochinita pibil. *September 16, not the Cinco de Mayo, that is the defeat of French forces in Puebla, the 16 of Sept marks the beginning of the independence movement that kicked the Spanish out, the holiday is known as 'el Grito de la independcia'- The Cry/ Shout of Independence. So hope that helps, I would love to see some updates! That taco hut is truly great. What's going on with this site? No updates in forever...has the dream finally come to an end? Hope to see you continue the hunt for the perfect taco. Donde esta el taco de perfecto Bandini? that's a great phishing scammer, fake email, not even bandini's email, stay way from this one. why do i always find out about these blogs late? I'm so disappointed by lack of new posts in 6+ months. Bandini whats the deal? Can your fans post their Taco reviews to keep the dream alive? Come on now Bandini. You have some obligation to you loyal readers. A six month hiatus is quite enough! Also, can you refresh me on that lamb taco truck please? I recall reading about it but damn it's been a long time and my wife loves lamb...and tacos. 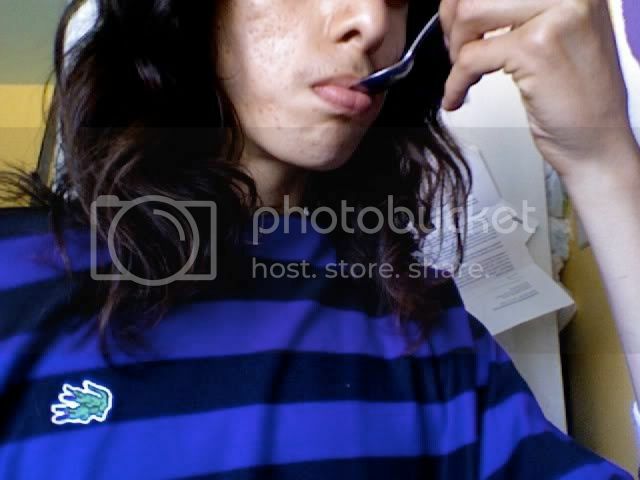 Dood, it's March 2008, where's the tacos at buddy????? Love the blog by the way, but do I need to come all the way to L.A to find out more about your great Taco culture or can I depend on Bandini to keep me posted instead? this taco cart on the border of East Los Angeles and Commerce is actually on Telegraph and Kern, not Keen as I posted early. Was still there as of Mar 27 btwn 7pm and 11pm. I had 12 tacos and a hochata and the guy asked me if I wanted more. I should have, the stuff is hot and tasty, even goat meat, I had that two visits ago, stuck with the asada and al pastor. There is a grill with onions simmering, if you get there late, the green chile is gone by 9:30pm, must be the local favorite. negative article in the LA Times, Apr 14 about the taco trucks in East LA. 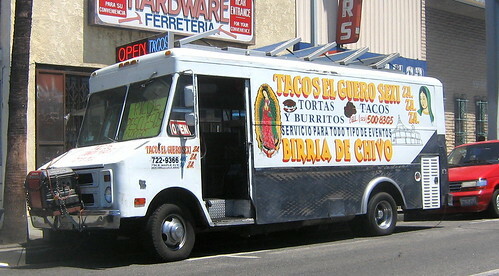 G. Molina and Y. Burke was quoted, sounded anti taco trucks. I need to look up the names and phone numbers of these county people and tell them to keep the trucks as is. taco trucks must be regulated more strictly than now. majority of them are not licensed and not sanitaty. i want carne asada, not carne RAT. I just hit up Taco Spot in Eagle Rock. Big mistake. They're overpriced. Their asada tasted like chuck roast. And they serve cheese on their tacos. Good salsa roja (where your mouth burn and it's not too bitter tasting) is so hard to find--this place fits that bill then?